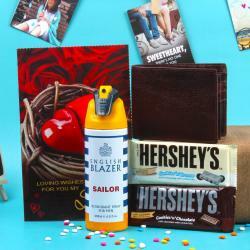 This gift combo is bound to big appreciation from the receiver through its contents. 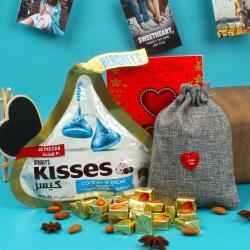 This gift combo is comprises one gift bag filled with Merlin Rich Cream Toffees and love greeting card. The gift combo is comprises one very beautiful love card with love quotation inscribed on It. If your love partner is chocolate lover then this hamper will definitely impress them. Buy this gift combo for your love partner in India and make them feel elated. 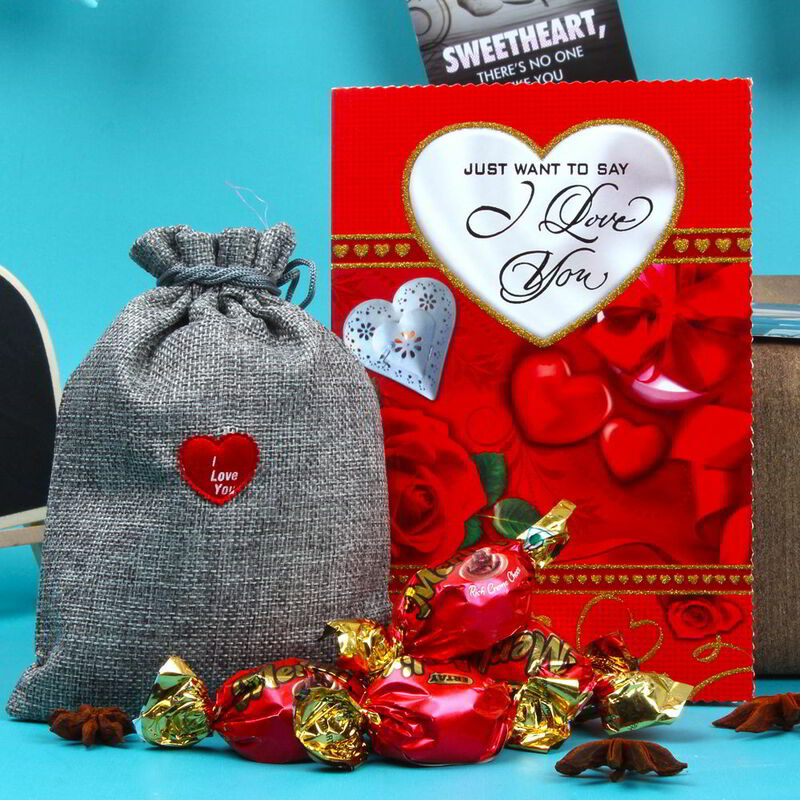 Product Includes: Merlin Rich Cream Toffees (Weight: 400 gms) along with Love Greeting Card.